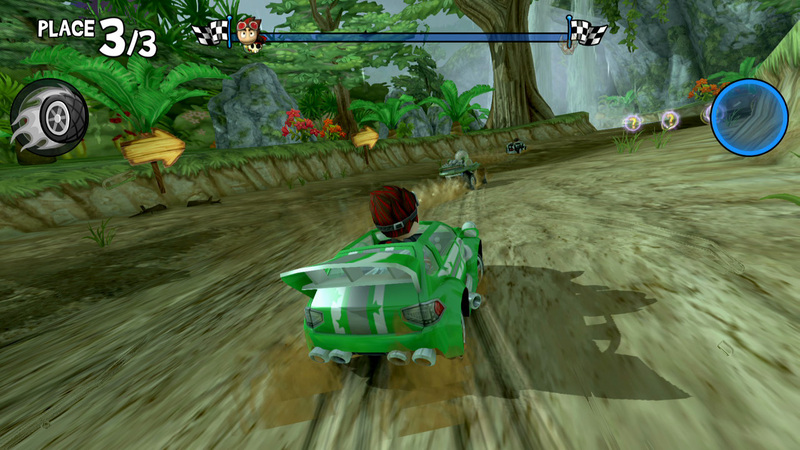 When you collect a powerup out on the track, you usually have no control over what you get. However, if you keep a close eye on the powerup selector just after you’ve picked one up, you’ll see it spinning through all the available powerups. If you tap it whilst it’s still spinning you can stop it on the one you want, but only if you have lightning fast reflexes! This is a guide app for beach buggy racing. 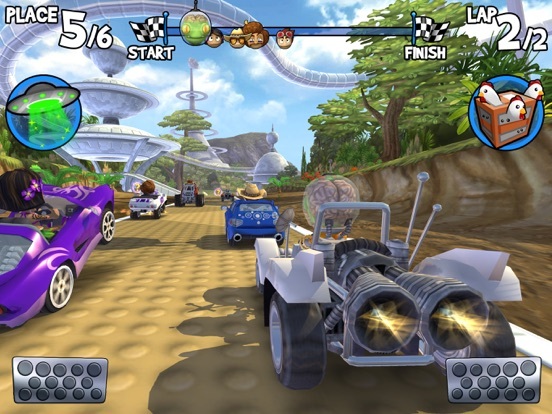 Beach Buggy Racing is a 3D racing game in pure Mario Kart style where players drive a buggy through different settings like beaches, towns, deserts, and even jungles. 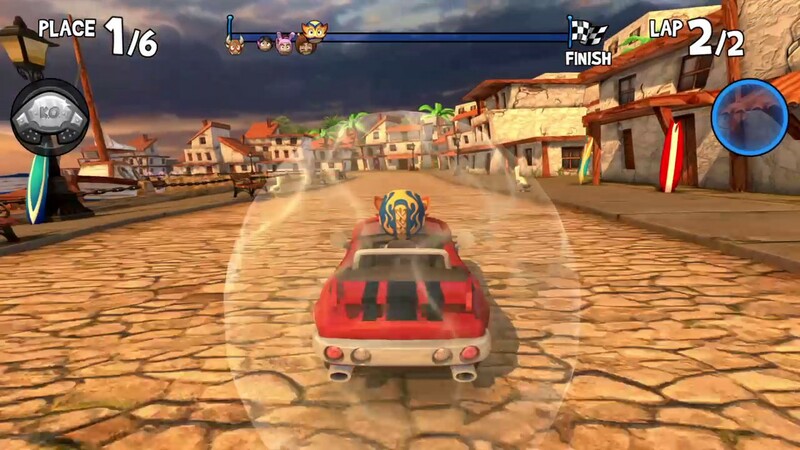 Our guide for Beach Buggy Racing will give you a helping hand to reach the end of the game and beat the bosses in the shortest time possible. Download this beach buggy racing guide and get ready!